← Our First Ever Havens 2015 SPRING SWING Family Dance was SUPER FUNTASTIC!!! 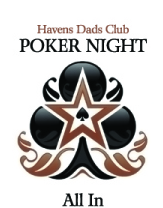 This entry was posted in Event and tagged 2016, Casino, Fundraiser, Havens, Havens Dads Club, piedmont, Poker Night, Top Dog. Bookmark the permalink.